We remember months, because months have names, because they are linked to the seasons, and because they have their own character. Looking at the First World War month by month reveals its complexity while preserving a sense of time. From the opening shots to the signing of the armistice, the First World War lasted almost 52 months. It was fought on land, sea and in the air. It became industrial, and unrestricted: poison gas, aerial bombing of cities, and the sinking without warning of merchantmen and passenger ships by submarines. Casualties, military and civilian, probably exceeded 40 million. Four empires collapsed during the course of the war - the German, Austro-Hungarian, Russian and Ottoman. The First World War is almost impossible to comprehend. Day-by-day narratives can be dizzying for the reader wanting to make sense of the conflict as a whole. Freer-flowing accounts, while helping to understand the broader trends and factors, can give less of a sense of the human dimension of time. The month is a more digestible gauge. 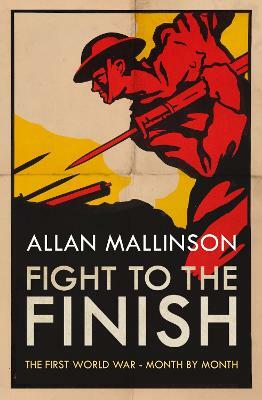 Based on the Allan Mallinson's monthly commentaries in The Times throughout the centenary, Fight to the Finish is a new and original portrait of "The War to End War." Allan Mallinson was a soldier for thirty-five years, serving first with the infantry and then the cavalry. He began writing while still serving. His first book was a history of four regiments of British light dragoons, one of whose descendant regiments he commanded. It was followed by A Close Run Thing, the first novel in the acclaimed and bestselling series chronicling the life of a fictitious cavalry officer, Matthew Hervey, before and after Waterloo. His The Making of the British Army was shortlisted for several prizes, while his centenary history, 1914: Fight the Good Fight - Britain, the Army and the Coming of the First World War won the British Army's Book of the Year Award. Its sequel, Too Important for the Generals, is a provocative look at leadership during the Great War. 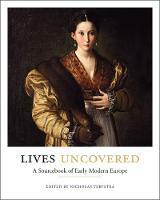 Allan Mallinson also writes for The Times, is history editor for Unherd.com and reviews for the TLS and the Spectator. He lives on Salisbury Plain.